The boring days at the office continue. I’m trying to use my time wisely, instead of doing my nails, I’ve been focusing on my trip to Italy. I’m good with the details on where I want to visit but one thing I’ve been slacking about is learning the language. I know the basics like ciao and buon giorno….ok and chianti. 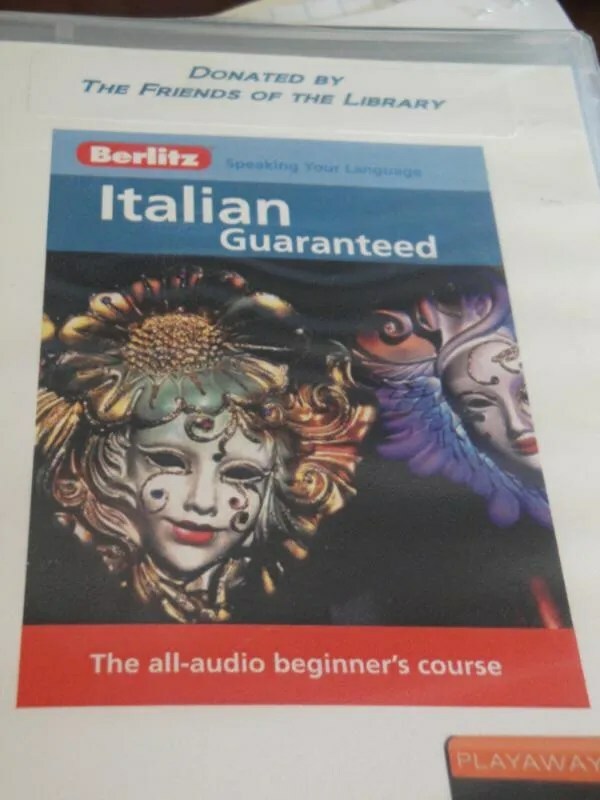 Not wanting to spend a days worth of pay on Rosetta Stone, I logged onto my library’s catalog to see if they had anything to help me out I found this Berlitz Italian Guaranteed when I picked it up at the library, I was taken aback. Had I really requested a VHS? 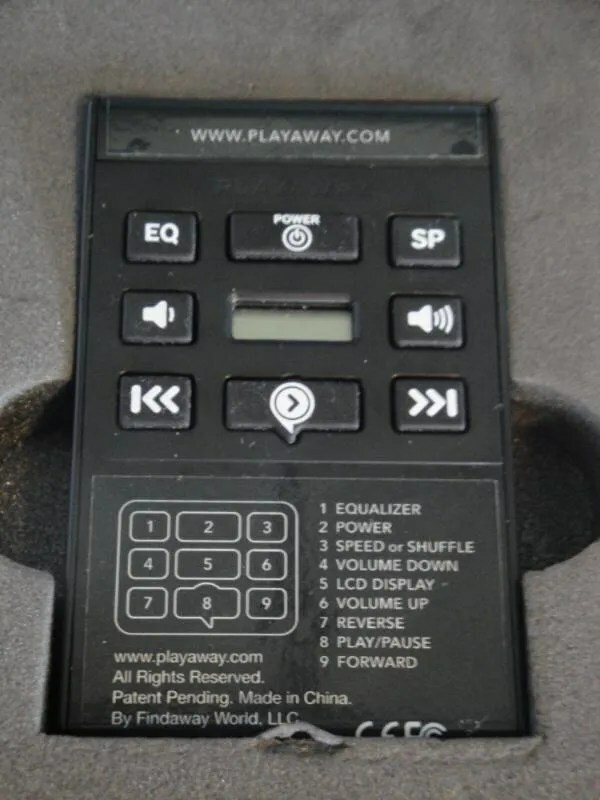 Turns out it wasn’t a VHS like the case appeared to be, it was a Playaway. It’s a cool contraption. 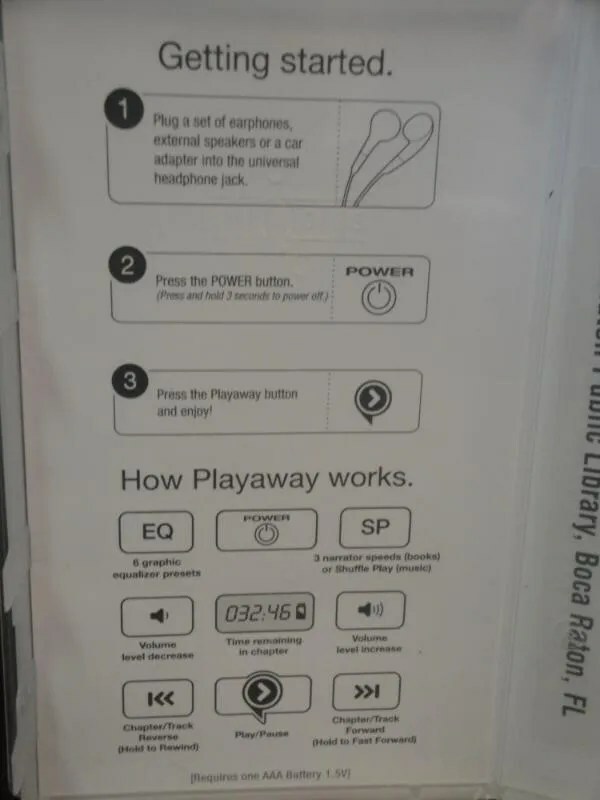 It’s like an ipod but for this segment only and all you have to do is plug in your earphones and you’re all set! No charger and no bulkiness-score! I’ve done a few lessons and my main complaint originally was that it’s all over the place but now it’s actually coming together. It starts with greetings, how to say your name, ask others theirs and discuss where you’re from. Then it goes on to discuss what you do for a living, how many children you have and if you’re married. I definitely paid attention to the latter so I can ask men this in Italy what they do work wise and if they are involved. I can now count up to 30 , 20-29 is easy because they all start with venti so I can relate that to Starbucks biggest drink!! I can also spell my name out in Italian and tell you my name and where I’m from. The other problem is that I don’t know how to write anything or know how its spelled. Whenever I write down what I’m listening to (because that’s the main way I learn), I spell it out the way it sounds which I know is wrong but works for now while learning it. I’ve never learned a language from tapes before so the process has been interesting and I intend to keep practicing up until I go. 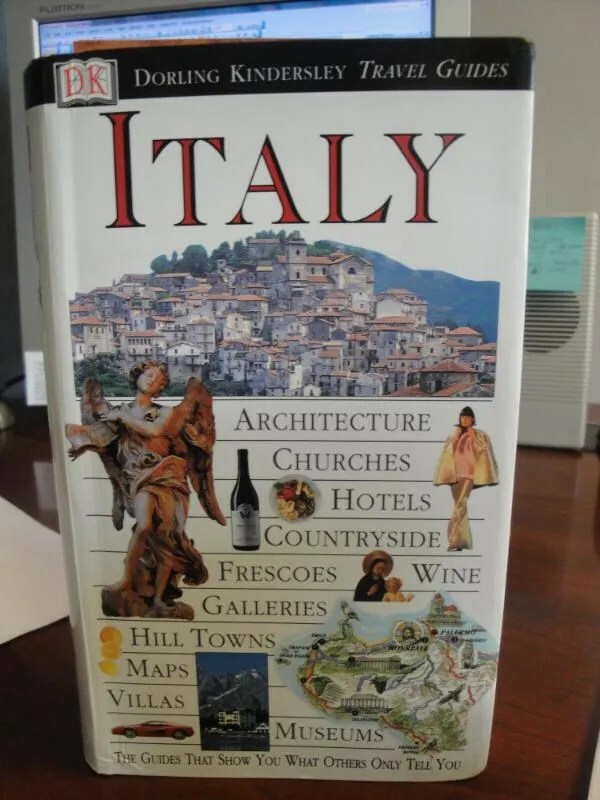 When I was in DC last month, I found this Dorling Kindersley Travel Guide for Italy at a thrift store for $.50. I love it because I’m a visual person and they are all about the illustrations and pictures. Who needs words when you can look at pictures right? This book has given me great insight on where to go when in Italy but now I fear I have too many places I want to visit, oi vey. Other that that, I’ve been online reading different blogs about Italy. Amanda and Andy recently when back to Italy after going for their honeymoon a couple of years ago. I keep going to their blog and not only marveling at the Italian scenery but the food as well. Blueberry ricotta cheesecake, gnocchi, pizza and red wine? Sign me up! Be sure to check out their adventures in Verona and Venice! 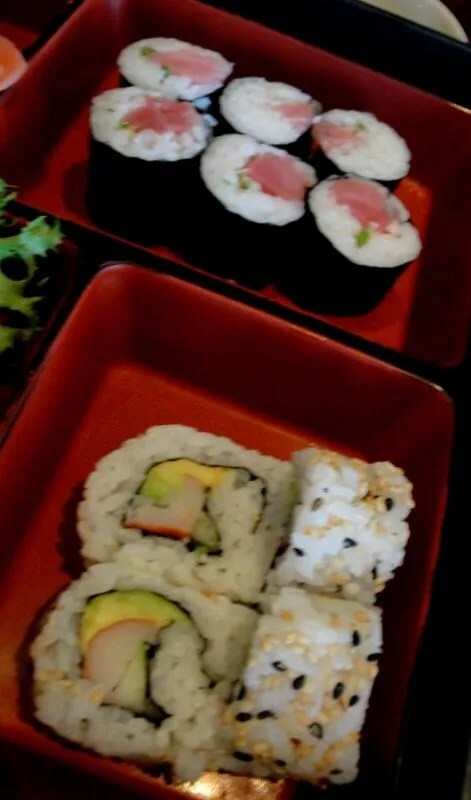 I am always down for sushi but even more so when there is a lunch special. Plus I’m kind of over either eating lunch in my car just to get away from the desk or driving around for an hour. Natalie has been before and told me this place gets really busy since it’s located right off I95 near a ton of businesses so we went at noon. That was a smart move on our part since there were only a few tables and parking spaces galore. We went in and sat down and our server came right over to us. I can’t stand when servers take their time at lunch when you have to get back to work so that was appreciated. 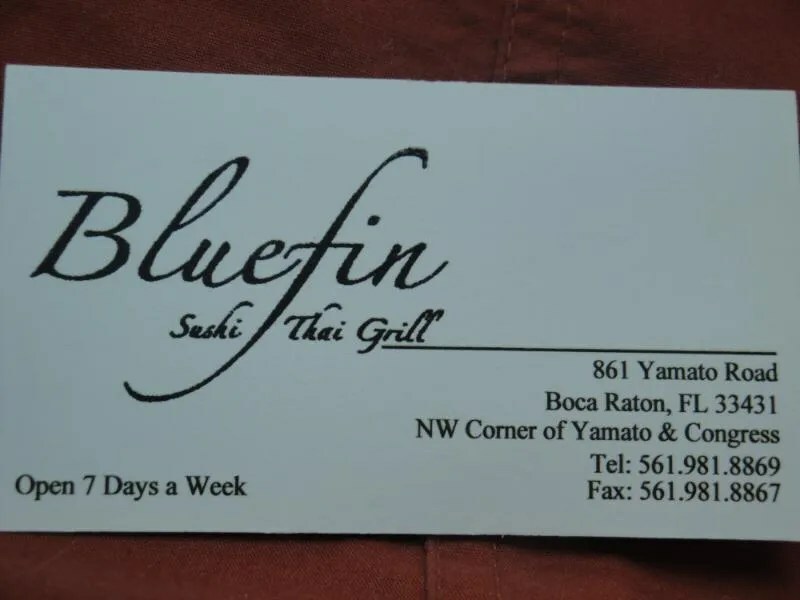 Bluefin has bento box specials for lunch that come with either soup or salad. 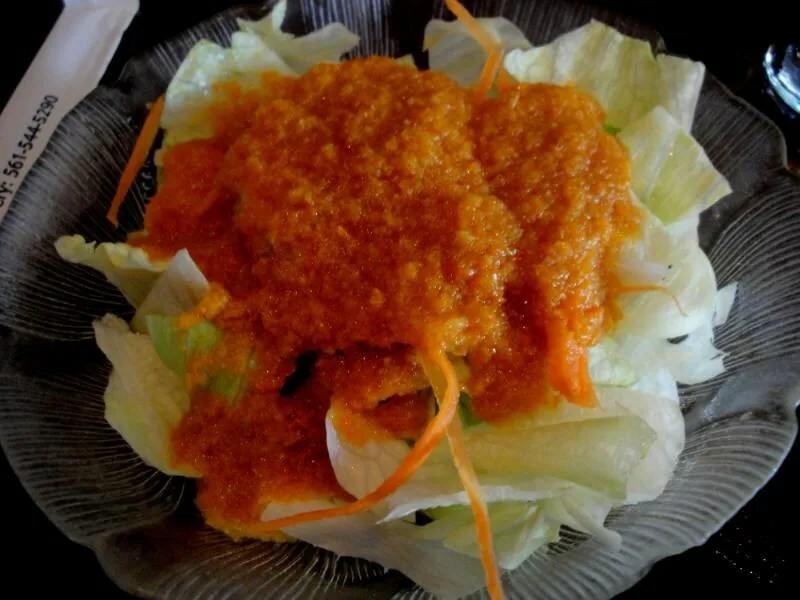 Since it feels 100+ degrees outside with the humidity, I got the salad with ginger dressing. Followed by the Hosomaki lunch special. Both food was out soon after we ordered so no lollygagging at Bluefin-quick service is what I’m talking about! 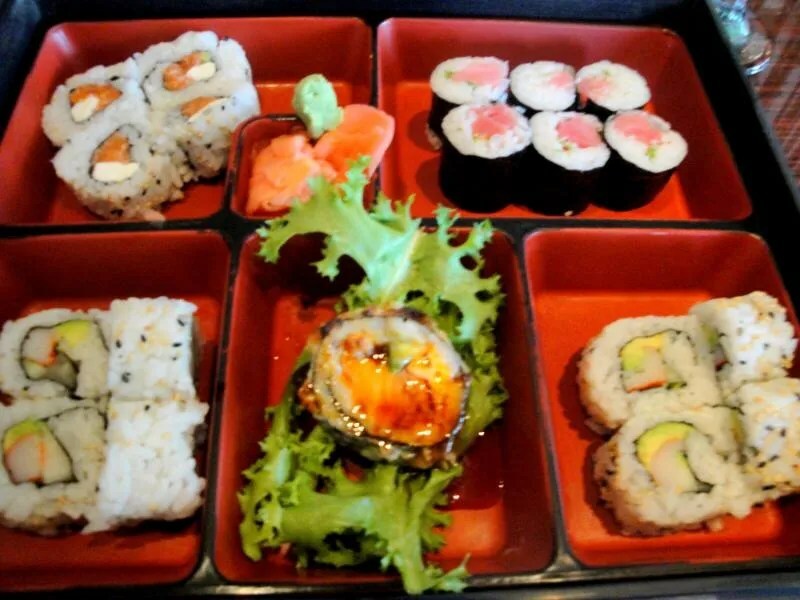 Hello beautiful bento box full of sushi! This was only $10—not a bad deal at all. My only gripe with Bluefin was that our waiter was a little too attentive with filling up my water. I love my H2O but cmon, give me a chance to just down one full glass of water! And with that, my brain is fried from all the knowledge it’s taking in. I haven’t sat down and done any kind of studying in god knows how long. But I dig it. It’s nice to give my brain a little workout every now and then, something tells me the normal workout I have of reading TMZ isn’t a beneficial workout for my noggin. Have you ever learned a language from a cd or tape? That “thing” u got from the library is awesome! Hopefully, it will help u out! I speak korean an trying to learn chinese and japanese. Chinese for my future children (hubby is chinese) and japanese because I love japanese tv shows! I think you will be totally fine. We knew absolutely no Italian when we went and it was okay! I think it will be even better knowing a few phrases. Like how to find the restrooms! You are going to have an amazing time. I can’t wait to hear how it went. That sushi was good! Now back to my regular boring lunch, hehe. I’ve taken Spanish for 8 years and can speak conversationally, but I totes need to brush up before my trip to Costa Rica next year. I’ve also been trying to teach myself Korean, but it’s hard effing hard. 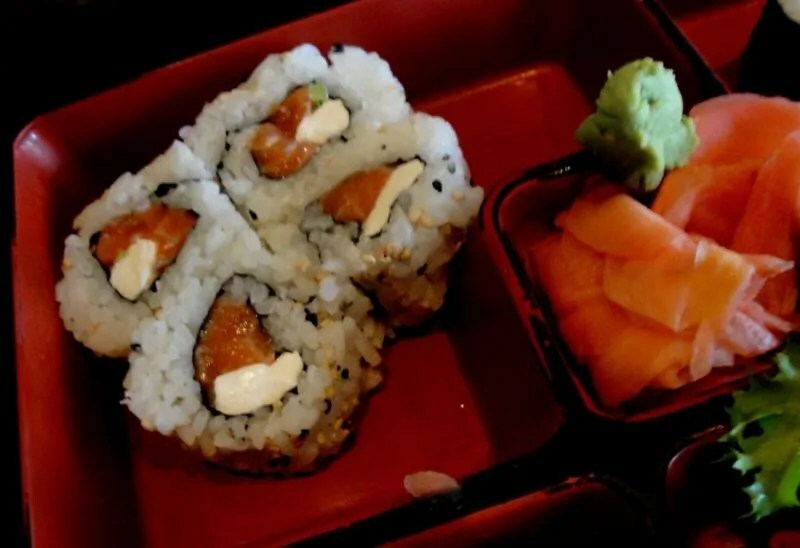 I’m glad I’m going to get sushi tonight, because all of your food is making me jealous! 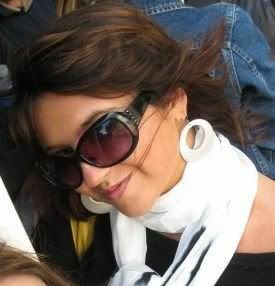 I studied abroad in Spain for two semesters and picked up most of my Spanish there. Unfortunately, I haven’t spoken it regularly in a few years. So my skills are def lacking. I have been craving sushi and these pics don’t help!! Eeek, I think I’ll have to get some for lunch! I’ve tried learning with those , ‘Learn The Dutch Language In Your Car’ cds. It worked pretty well a) because I’m in my car way too often, and b) it’s like I was in a mini class of 3 people. You repeat what the ‘instructor’ says, then he asks how do you say suchandsuch…it worked well for me. I’m fluent in Polish and i’m going to Poland with my bf in 2 weeks and we are going through serious Polish lessons! mostly focused on food! DK travel guides (and their phrase books!) are my absolute fave too i like the pictures and shorter descriptions/histories to help naviagate the country for general reference! I can’t wait to hear back about your trip! I’m part Polish so that is on my list of places to visit one of these days. I tried to learn some of the language from one of my old bosses and it was a bust–it’s a tough language! But I can say good morning so at least I walked away with a little tidbit. what a great deal on lunch! 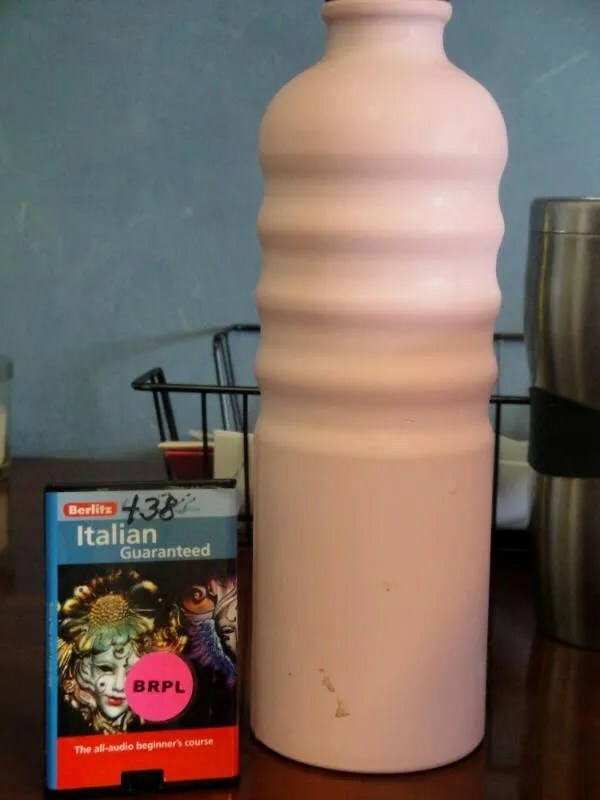 i am loving that you are learning italian! can you learn something dirty and text it to me? Interesting–I never knew that! I should have gone that route. I feel like that happens everytime I go for sushi. But I am a wasabi abuser, so I try not to take it for granted. I wish I spent time learning the language before I went there. I went for a month after I graduated college and was SO lost. Derp. Thanks for all the suggestions—I definitely made note of them! 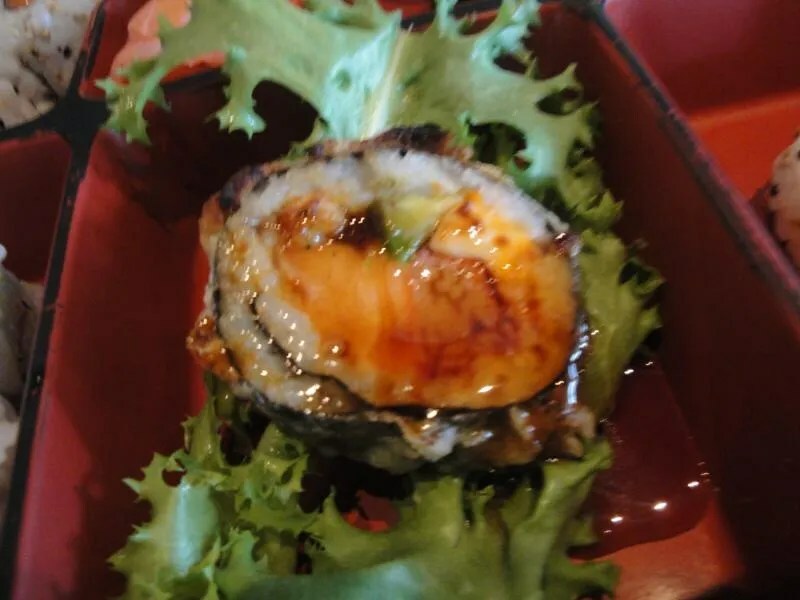 You are the sushi queen- I love it! I am so excited for your trip to Italy- I am going to live vicariously through you! I was set to minor in Spanish in college but then hated one of the upper level required classes. I should have just sucked it up. I really regret not studying abroad- that’s definitely a great way to learn a language!